I go to my Mom and Dad's house pretty much every Thursday night to make dinner, take care of my Mom, and give my children a chance to enjoy their grandparents. What if I did a book signing with my mother and offered them to the first x number of people who purchased 10 copies online? The more I thought about this idea, the more exciting it became to me. So we got the plan together, spruced up the giveaway package, and included it here on our book page. So last night, I went to her house, and we had the sweetest book signing that has ever taken place in the history of the world. I can't wait to tell you about it. First, my husband (a.k.a. 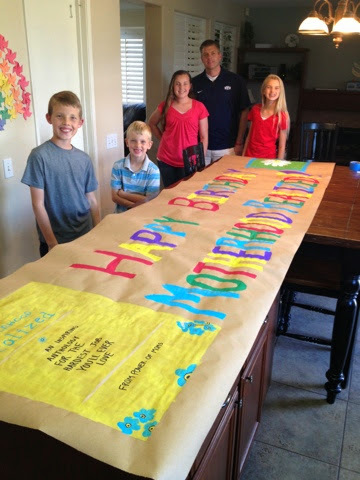 my biggest supporter in the WORLD) took our children to buy party supplies (balloons, hats, paper goods, streamers...) and then coordinated this massive art project in the kitchen to create a "Happy Birthday" sign for Motherhood Realized that we could hang during the book signing. When we got to my parents' house, we gave them big hugs, and then I said, "I have got to tell you what's been happening this week! We launched our new book, and then it rose to #1 in Motherhood on Amazon, and it's been selling like crazy, and now we're hoping to make it to the NYT Bestsellers' list by THIS SATURDAY, and we have moms all over the world buying the book and joining our community, and tonight I brought a whole stack of books so YOU can sign them with me, Mom! We're going to have a little party! 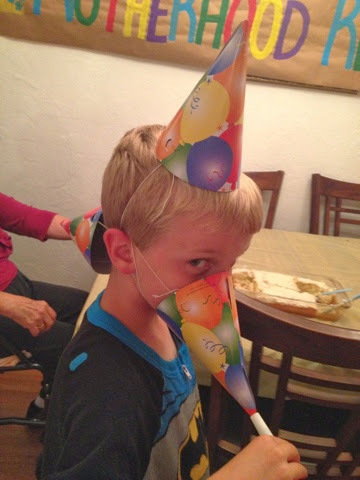 And we have balloons and streamers and party hats, and a cake, and it is going to be wonderful!" They were so excited. My mom hugged me and kissed me over and over again, and my dad got a litle teary-eyed when I explained why I wanted my mom to sign the books. "You never had the chance to write a book, Mom." I said. "But you are my inspiration! Everything I do is because I want other people to feel the love that you gave to me. And there are people out there who have never met you, but they know and love you because of the stories I share about you." She smiled shyly and said, "Well, I never wanted any...." (then she trailed off--not knowing the right word to say). "Praise." my dad said softly. He knows her. "Yes!" she exclaimed--relieved that he knew what she was looking for. "Yes, I never wanted any praise. But I do love my children so much. And I always tried to be kind. I don't know why anyone would want a book signed by me, but, sure, I'll sign them!" 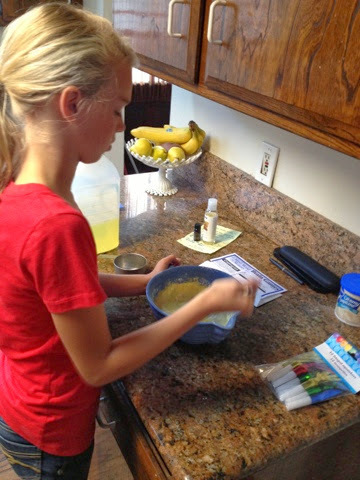 My boys went to play handball for a bit, and Gracie went into the kitchen to start on the cake. Then the kids got settled into an activity in the back room while my mom and I sat at the table and started signing books. This is where it gets PRECIOUS. I can hardly even write about it without smiling ear to ear. The process went something like this (I am NOT making this up). "You did?!!!!" she replied--totally surprised and enthusiastic. "Yes! Here it is!" I said, handing her a copy. "Motherhood Realized...oh, what a beautiful title. And look what a lovely book!" "There are some people who bought the book who want you to sign it." (Laughing) "ME??" They want ME to sign it? Why would they want THAT?" 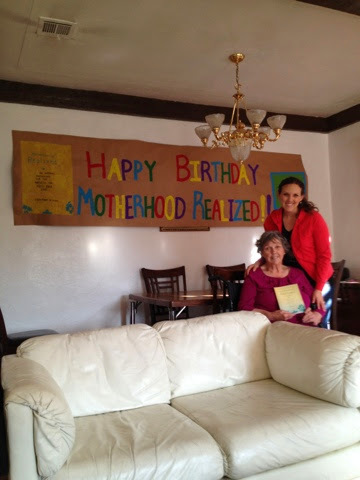 "Well, because you are the inspiration for the book, and you are such a wonderful mother. Will you sign your name?" "Well, okay. Where should I write it?" "How about right here? --But don't bend the cover back, Mom. We don't want to crease it. This is for someone else." "Okay," (reluctantly resisting the urge to make a crease) "What do I write?" "You can just sign your name--Zoe." "Shouldn't I say, 'With Love'?" "Yes, it has to be with love." she replied emphatically. 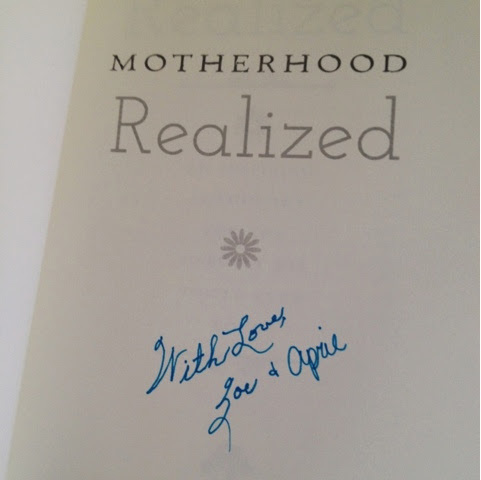 So with more effort than I realized it would take, she carefully signed the book, and then I added my name. But when I tried to bring over a second book, it was just too much for her. She started to get confused, and she became very overwhelmed, and she just couldn't do another signing. So I took her in the kitchen, and we chopped some vegetables for our salad for a few minutes, and, once she was calm, I brought out a fresh book. "Mom, we just published a new book!" I said--with as much excitement as the first time. "You DID?!!!" she replied--with equal, if not more enthusiasm than before. And then we went through the WHOLE experience above...all over again. And by the time I left the room with the signed book and came back with the new one, she was ready to be excited again that her daughter had published a book!!! Is that not the sweetest thing in the world? I got to share that moment with her over and over and over again. I got to tell her 20 times how she is my inspiration. I got to explain to her exactly why people wanted her to sign their books. And EVERY SINGLE TIME she was about to write her name, she said, "It HAS to be 'With Love'." This has been an amazing week for me. I can't even put into words how it feels to have so many people supporting this dream. Part of me wishes my mom could "really be here" for all of it. I wish she could come to our official book launch next Thursday, and I wish she could understand exactly what is happening and jump up and down with me over every success. But the other part of me realizes that even though she can't express it, she knows. If you would like to get one of the 20 books that my mom and I signed, there are only a handful left. Simply email your receipt for 10 copies of the book to 10@powerofmoms.com, and you'll receive a link to download our Premium Power of Moms package (valued at $216), plus, if you're one of the first 20, I'll personally mail you one of the signed books. And please--even if you can't buy 10 books or even one book, if you can share our Book Page with everyone you know--and encourage them to support this cause that is absolutely centered on love for families, I would be SO appreciative! I'm typing in amazement right now...plus there's a little stiffness and fatigue from being on the computer a lot over the past couple of days. But I just needed to take a moment to express my appreciation. 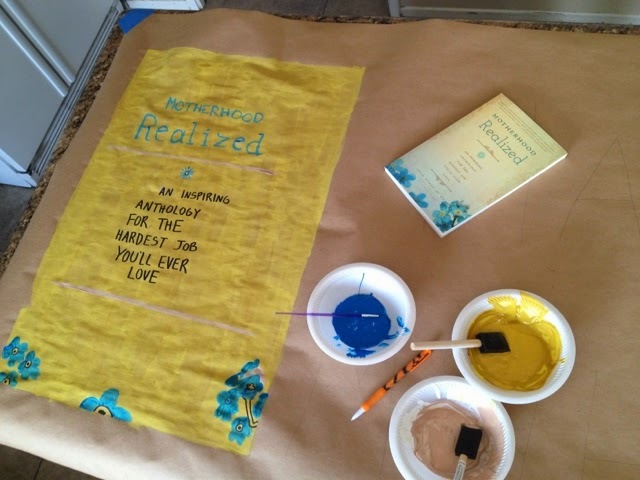 A few months ago, I set this "pie in the sky" goal of reaching the New York Times' Bestsellers' List with our new book, Motherhood Realized. And all the while, I haven't had a clue as to whether or not it is possible (because that list is kind of a mystery), but I like having big goals, and I believe in this book more than I can express. So our book team is hard at work, and our Power of Moms Board is working together like crazy to make this happen, and our community has been absolutely amazing. The support means the world to me. I wish I could give all of you a big hug. And this morning when I woke up, I saw that Motherhood Realized was #1 in "Motherhood" books on Amazon and #141 in ALL of the books on Amazon. Then later today, we saw our book listed on the "Movers and Shakers" side bar on Amazon's Top 100 page (see us there in the bottom right corner?). This NYT dream might actually be a possibility. #1: Please buy a copy of Motherhood Realized by Saturday, March 29th--from either Amazon or Barnes & Noble--if you haven't already. This page has a free chapter to download, a quick video, links to where the book is available, details on the authors, plus information about the GIFTS we're giving to everyone who orders by March 29th. #3: If you've already read the book--or even some of the posts in the book--please write a review on Amazon or Barnes & Noble. When books receive a high number of 5-star reviews, it becomes visible to more readers/shoppers. That makes a big difference to us. The content of the book can be found in this category of posts. So if you can't afford the book but want to read some of the content and then write a review, that would be great! I hardly ever ask people to buy things. That's just not my style. But in this case--with this beautiful book that has the power to launch a movement that is bigger than myself, I encourage you to get the book--get LOTS of books--and I THANK YOU for your incredible support. It's been almost two months since I've written here, and to be quite honest, I don't really know where to start--or what to say. Part of me wants to write here every day to share this journey I'm on--and the miracles, and the sweetness, and all those moments where I feel like my stomach is packed full of butterflies. And part of me just wants to stop writing because "putting myself out there" scares me. Before I start, I just need to say that our lives are not perfect. But they are so happy. I know that is such a blessing, and I don't take it for granted. But my life is what it is, and I want to record the beautiful and the hard parts. We've been spending 2-4 afternoons/evenings a week at our local gym--with three children playing basketball (and a husband who loves the sport and is finally teaching me all the rules...he wonders what I was doing all those years as a cheerleader). And Gracie loves to organize her friends as they celebrate each others' birthdays. And my cute Alia (who adores art and color) decided she needed to do something about the big blank wall in our kitchen. She made dozens of pinwheels one day and stuck them up in a beautiful rainbow pattern. PERFECT for St. Patrick's Day. It's made me happy all month. These two girls eat lunch together every day at school and have become best friends. Last week, Lia came over to spend the afternoon with Alia (don't you love how their names match?). This was Lia's VERY FIRST play date ... ever. And the two of them smiled like this pretty much the entire time. Then while Spencer was home with a cough last week, he figured out how to set up Monopoly. I had other things to do, and when I heard him call out, "Mom, wanna play MONOPOLY?" I kind of winced. But then I walked into the living room and saw him like this--with the game all organized, and that huge smile on his face, and so I sat and played with him for 20 minutes or so. Someday I won't have a little guy asking me to pay rent on Boardwalk. Oh, he has me wrapped around his little finger. I had quite a moment while making this timeline with Spencer for his first grade oral language project. We sat at the counter, looking through photos on the computer, and he picked out his favorite ones. Then I helped him print them and glue them to the paper--while Ethan was playing Legos next to us and Alia was learning the Feather Theme on the piano. It's happening too fast, all this growing up. We're in this precious spot right now--where all my children are home most of the time, and they all listen to me, and I get hugs and kisses pretty much all day long. I feel like I've finally figured out how to be their mother, and I love it. And I don't want them to go away. Our weeks are full of visits to the orthodontist and grocery shopping and homework and cleaning and daily smoothie parties and little naps on the trampoline when the sun is shining. And sometimes there's bickering, so we stop and talk through it, and I make "the fighting children" hug each other. We sing together and laugh together, and in the mornings, I usually get at least two of them climbing into my bed to snuggle for a few minutes. Family life feels like magic to me right now, and I'm just hoping this feeling will last a long, long time. Finally, a major part of this "family snapshot" centers around Eric. He's a fairly private person and doesn't want me writing about him all the time, but our relationship has never been stronger. He is my best friend and my biggest cheerleader. He's the one who sends me to go take a nap when I'm grumpy, and he holds me tight and tells me he loves me every single day. He puts my happiness above his own, and even though we don't always agree on everything, he always listens to me and supports me and encourages me to keep going. I'm madly in love with him. So that's a glimpse into what our life has been like. I'm more than grateful. We are still keeping up with our Thursday visits, and I have lots of photos and stories that are waiting to be shared. But the simple story is that my mom is doing great. For months, I thought I was losing her. She was declining so rapidly, and my visits to her home were painful. But now, she is calm and happy and strong and healthy. 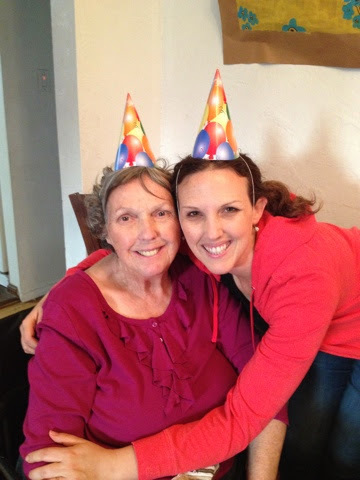 And even though she's rarely sure who I am or where she is or what she's done that day, she is doing amazingly well. Thank you for your prayers on our behalf. Thank you for your advice on how to cherish these moments (and hopefully years?) that I have left with her. I am recording videos and audios of her. I'm taking lots of pictures. I'm hugging her tight and singing with her. My children are enjoying our weekly visits, and I just can't even tell you what a gift it is to have this time with her and my dad. 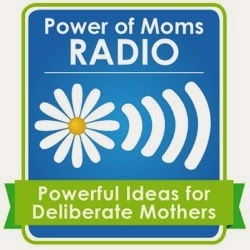 Okay, so most of the people who read this blog know that I've been running Power of Moms with my partner, Saren, for nearly seven years now. 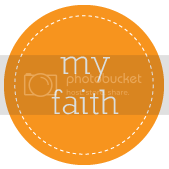 It's been growing well over that time (we have more than 30,000 registered members), and it's been a wonderful--albeit sometimes stressful--project, but this year, we decided that it's time to take it to the next level. It's growing so big that it's surpassed "hobby" status, and we want to reach all the moms who need this community. So I've been working on three huge goals that sometimes feel so big that I get sick to my stomach...in a good way (does that make sense?). I had no idea how many hours it would take to get this new radio show up and running, so that's taken quite a bit of time and brain power, but we have had nearly 40,000 downloads since we launched at the end of January, and we're now in 120 countries (Iran is now #3 ... which really surprised me). It's been an amazing experience so far, and if you don't yet know what a podcast is, I put together a whole tutorial here. Join us! 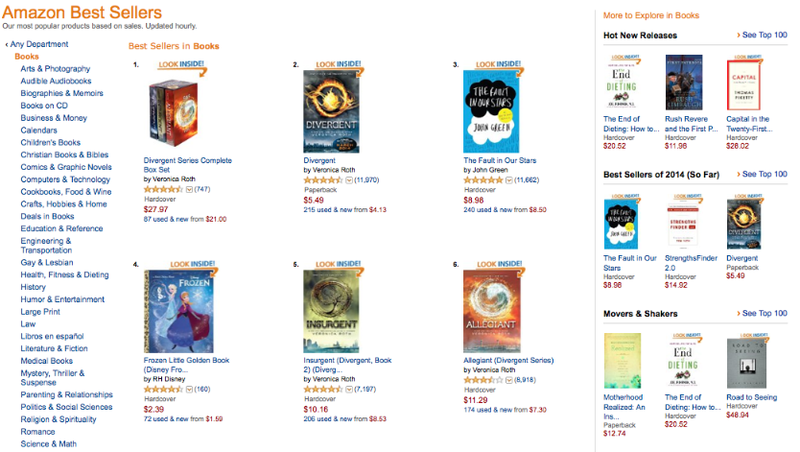 Goal #2: Get Motherhood Realized on the NYTimes Bestseller's List. 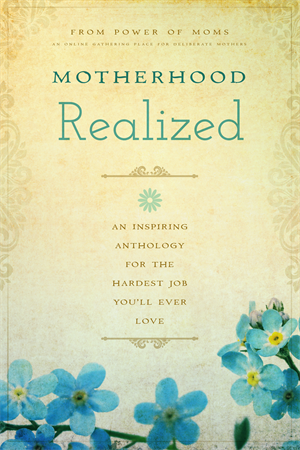 Motherhood Realized is our brand new book--written by more than 30 authors, and it is honestly the most beautiful "motherhood book" I have ever read. You'd think that because all of the chapters had been previously published as posts on Power of Moms, I wouldn't have been surprised when I read the final manuscript, but reading it all together--in that format--struck my heart with such a powerful feeling that I am doing all I can to get this message of motherhood out to the world. We're encouraging everyone we know to purchase the book on March 24th--which will help group the purchases and hopefully get the book onto some of the top lists that feed into the NYTimes list. This is one of my most "pie in the sky" goals, but I'm really excited. 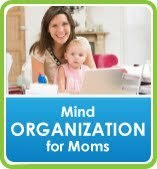 Goal #3: Share Mind Organization for Moms with 500,000 mothers. As I've been contemplating my overall purpose and thinking about the best service I can give to other mothers, Mind Organization for Moms is at the top of the list. It's my GTD-based program that helps mothers to get their papers, tasks, emails, projects, and lists in order--so they can more fully enjoy their families. 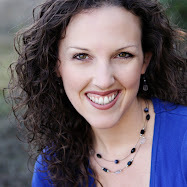 It has been working beautifully for me for more than five years, and with 7,000 mothers using the program and email testimonials coming in almost daily, I feel like it's my responsibility to make this program into something that strengthens mothers all over the world and gives them the peace of mind they're craving. I spent the first few weeks of February writing a free introductory eBook to the program, and now I'm sharing it with mothers everywhere (500,000 seemed like a good number to start with!). You can click the image to learn more and access a copy, if you'd like! So that's a basic recap of what I've been doing the past couple of months. This all feels big to me. Sometimes I want to hide under my covers and sleep all day. My heart pounds fast when I wake up in the morning because I am so excited about what's happening...and so grateful...and kind of scared. There are dozens of other major projects going on in the midst of everything I listed above, and sometimes when I look at all of it, I think, "How is all of this happening? Why do I think I can do this? What if I'm not up to the task?" But then there's this sweet peace that keeps filling my heart. And there's a power beyond my own that is lifting me and carrying me--and bringing hundreds and thousands of amazing women to join the cause. This isn't about me. This is a movement. This is about championing motherhood and strengthening families. I'm just so grateful I get to play a little part.